Sometimes you just come across a product that is just so great you keep telling people about it. That is how I feel about the Pampered Chef Microwave Egg Maker. I love eggs, almost any way. But I have not made poached eggs since I lived with my parents and we had a special pot that could be used just for poaching eggs. Now to be honest we a have a number, maybe even a large number of Pamper Chef products, but we do not sell it. In fact we have about 15 stones and bakers. 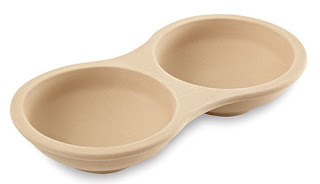 But other than the bar pans this product has been used more often since we got it than any of the others. I have had this for about a month now. For the first week I used it every day. It does exactly what it says it will do. 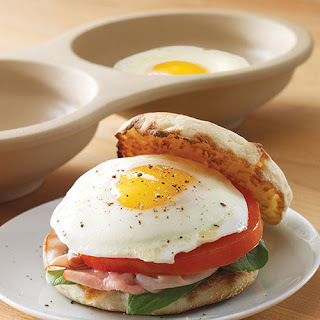 Perfect poached eggs, excellent round fried eggs for sandwiches, great scrambled eggs. Now to be honest it was much bigger than I expected. It is 12 inches long. 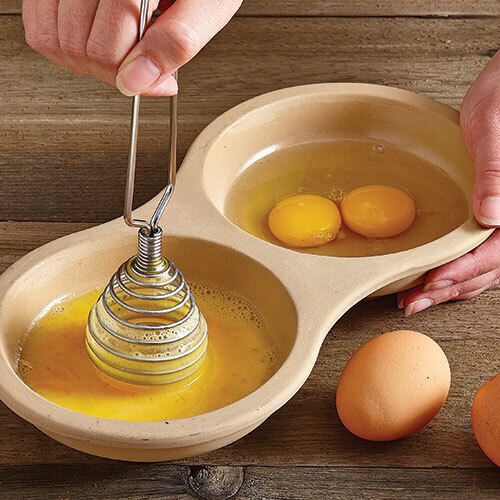 You can cook 1 or 2 eggs per well at a time. I found that poaching is best just to do one. But scrambled or friend two come out perfect. You can make breakfast sandwiches with meat and melted cheese in about 3 minutes. This is one of those gifts that will be used over and over again. If you love eggs, it is quick, easy and clean-up is fast as well. This is one of those products that I would state is excellent value for the money. There are even recipes to make cakes, whoopie pies and other fun deserts using this tool featured on their site. One of my favourite breakfasts the kids call fire eggs. Scrambled eggs open face on toast, then covered in franks hot sauce so the whole thing is red. With this tool prep and clean-up is super easy.